While researching Phoenix, Valentine learned that the CIA allowed opium and heroin to flow from its secret bases in Laos to generals and politicians on its payroll in South Vietnam. His investigations into this illegal activity focused on the CIA's relationship with the federal agencies mandated by Congress to stop illegal drugs from entering the United States. 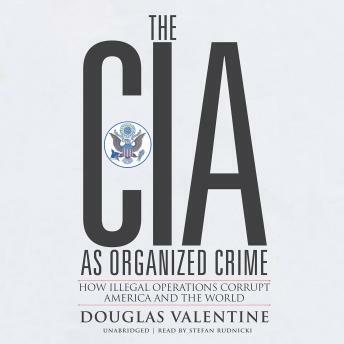 Based on interviews with senior officials, Valentine wrote two subsequent books, The Strength of the Wolf and The Strength of the Pack, showing how the CIA infiltrated federal drug enforcement agencies and commandeered their executive management, intelligence, and foreign operations staffs in order to ensure the unimpeded flow of drugs to traffickers and foreign officials in its employ. Ultimately, portions of his research materials were archived at the National Security Archive, Texas Tech University's Vietnam Center, and the John Jay College of Criminal Justice. This book includes excerpts from the aforementioned titles, along with subsequent articles and transcripts of interviews on a range of current topics, with a view to shedding light on the systemic dimensions of the CIA's ongoing illegal and extralegal activities. These articles and interviews illustrate how the agency's activities impact social and political movements abroad and at home. A common theme is the CIA's ability to deceive and propagandize the American public through its impenetrable, government-sanctioned shield of official secrecy and plausible deniability. Though investigated by the Church Committee in 1975, CIA praxis then continues to inform CIA praxis today. Valentine tracks the agency's steady expansion into practices targeting the last population to be subjected to the exigencies of the American empire: the American people themselves.